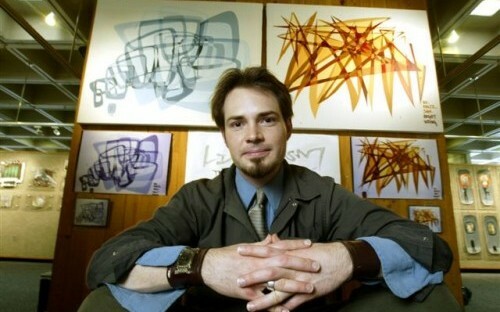 Jonathan Blackwell graduated as one of Duke University's first Visual Art majors in 2001. He subsequently lived in Raleigh, North Carolina working as an artist and screenwriter, while selling fair trade coffee. His 2005 film Louvst featured twenty musicians and ten actors on location across North Carolina. Hi Jonathan. Thanks for making time to talk to us. How have you found the AGSM Experience so far? I love the people. Everyone is so bold and confident. When I managed a nightclub I would hang out with similar types. It’s interesting at AGSM: it's a work hard, play hard party. How and when did you decide to do an MBA? Selling paintings was no way to support my interest in producing independent film. I was working at Counter Culture Coffee (a Durham, NC-based organic coffee supplier)) while I finished post-production work on Louvst, the last film I wrote and directed. Brett Smith, President of the company, got his MBA from Kenan-Flagler at University of North Carolina. I saw how freely he ran the company, and figured his sound judgment was from his MBA. What made you choose AGSM? A friend from university now works in Shanghai as vice president of a digital marketing firm. We started a theater company at Duke and we want to continue producing film together, leveraging his New York and Shanghai networks and my North Carolina and Washington DC circles. Australia is a bridge between east and west, and shares the cultural market we’re after. AGSM is the number one MBA in Australia, and Sydney is amazing. How different has the MBA experience been compared to your previous university experience? The MBA pace is fast. We covered a year’s worth of statistics in two months! With no background in business, I’m challenged to keep up. The AGSM MBA has always been a leader in team-building. Most of my learning happens after class when my classmates share their mastery of the subjects. Have you been able to use your skills as an artist? The press I’ve received for art and film gave me credibility when I spoke before elected officials in Durham to block the construction of a large corporate theater that threatened Durham’s cultural value. Eventually we found the right management company for the project, one that already had theaters in New York and Chicago, and now runs the Durham Performing Arts Center. What kind of career path do you see for yourself after the MBA? I have a business plan to combine the art, coffee, and club life I’ve lived with the global business skills I’m learning. It’s like a Russian Novel spanning renewable energy, social entrepreneurship, and global cultural media. I hope to work in renewable energy and build this business to create win-win situations along the way. It’s called the ETA Cafe. What would your advice be to other artists like you, who are really good at what they do but want to create something bigger and have a larger impact on society?